Today was Day #5 of Chocolate and Rocky Road Theme Week. 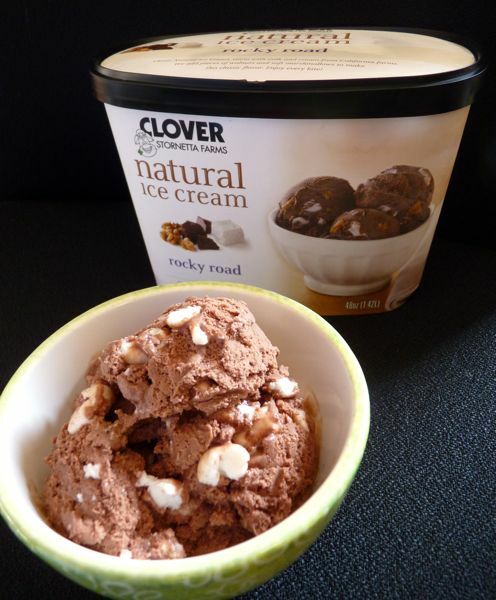 The sun is out today, making ice cream a more desirable chocolate choice once again, given that it is fall/winter season. Clover-Stornetta Farms (Petaluma, CA) is located in the open spaces north of San Francisco, where there are still some stands of trees, and large fields for dairy cows to roam and munch on green grass. I've always enjoyed driving through this area of rolling hills, pasturelands and farms. Maybe those fond memories make the ice cream taste better too.